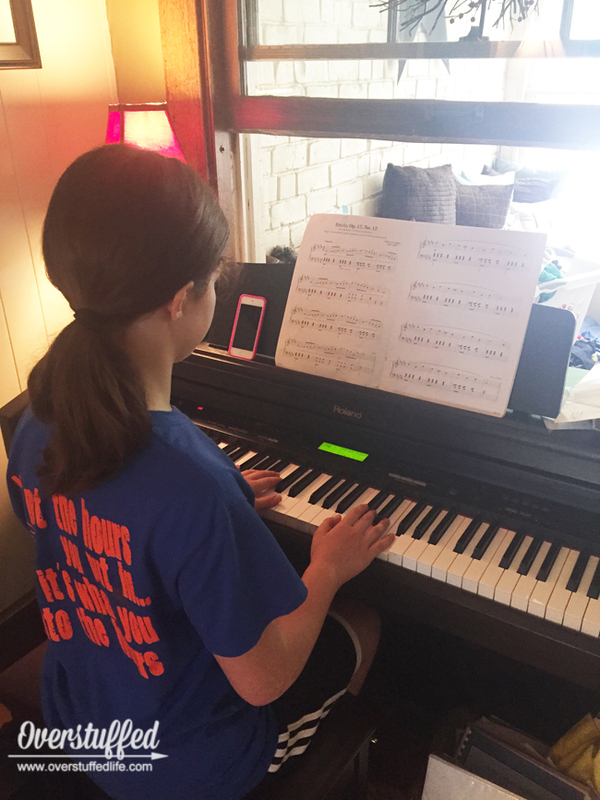 This year, we had to postpone our kick-off party for a few days, because Sophia and I went on a Girl Scout trip as soon as school was out, and the day after we got back Bria went to an orchestra camp. But last Monday we had our party. I love the first week after the kick-off, because the girls are on fire and really want to do everything just right. 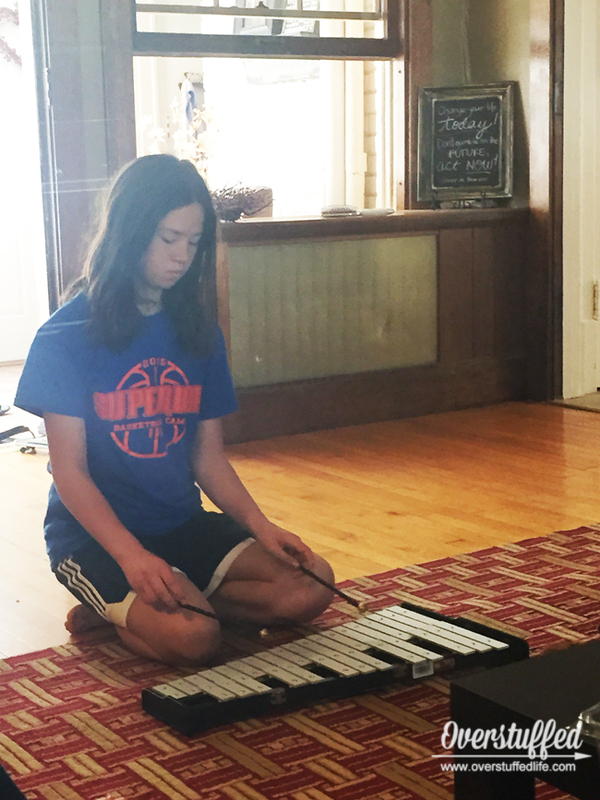 Much like school, towards the summer, they are less likely to finish their workbooks or read and practice every day. But that's okay, because we still accomplished a lot! We start with a giant breakfast of eggs, sausage, fruit, and waffles. I think it's important to make the event something the kids can really look forward to! 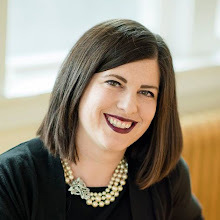 While we eat, we talk about how the school year went, how we did with our family theme for that school year, and what the girls are looking forward to in summer. After breakfast, we pass out their book bins for the summer (read more about the book bins here: choosing summer reading for your kids and summer reading motivation). This is the part they most look forward to--after all, who doesn't love receiving a pile of new books to read? 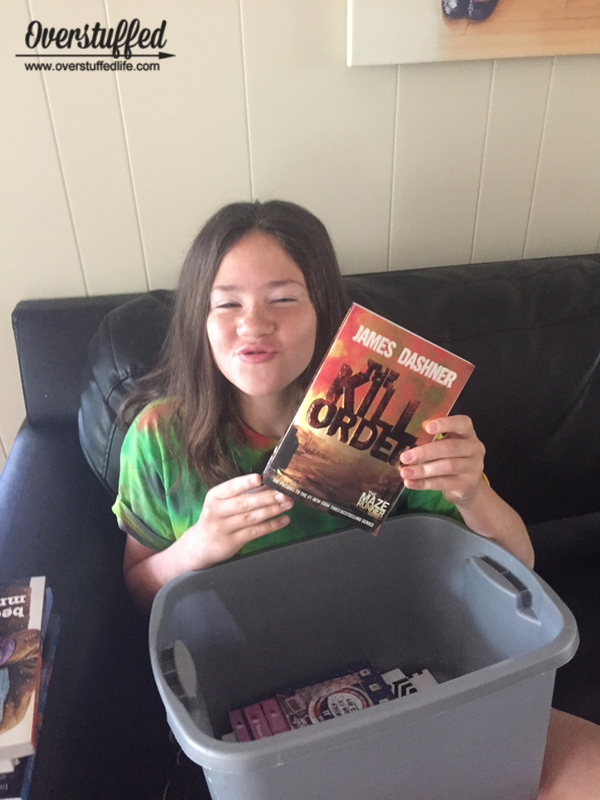 Chloe was especially thrilled to receive The Kill Order--it's the final installment in The Maze Runner series and she's had trouble checking it out at the library because there is a long waiting list. If you'd like to see what other books were in their bins this year, click here: Our Summer 2015 Reading Lists. After they oohed and ahed over their new books, we introduced the summer workbook format we are using this year. They thought it was the greatest thing ever, which thrilled me! 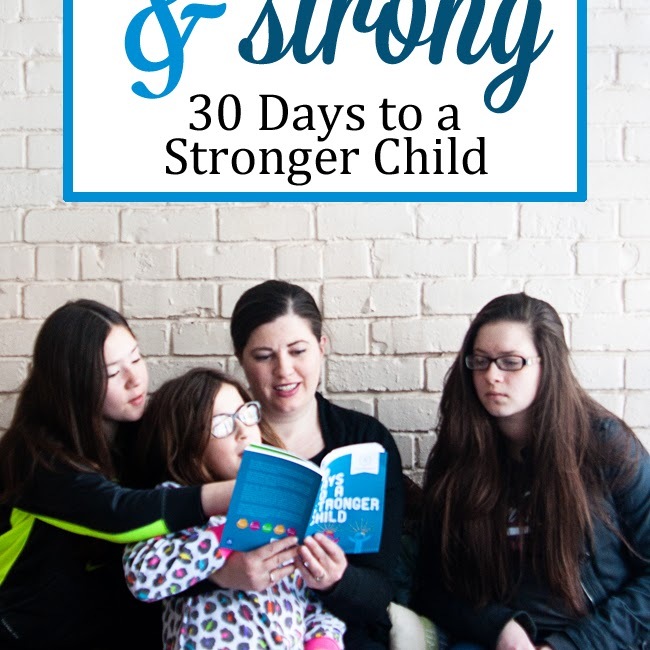 Basically, they have to complete an hour each of exercise, music practice, and reading plus do their chores before they are allowed to look at a screen. Then they can look at screens all they want. 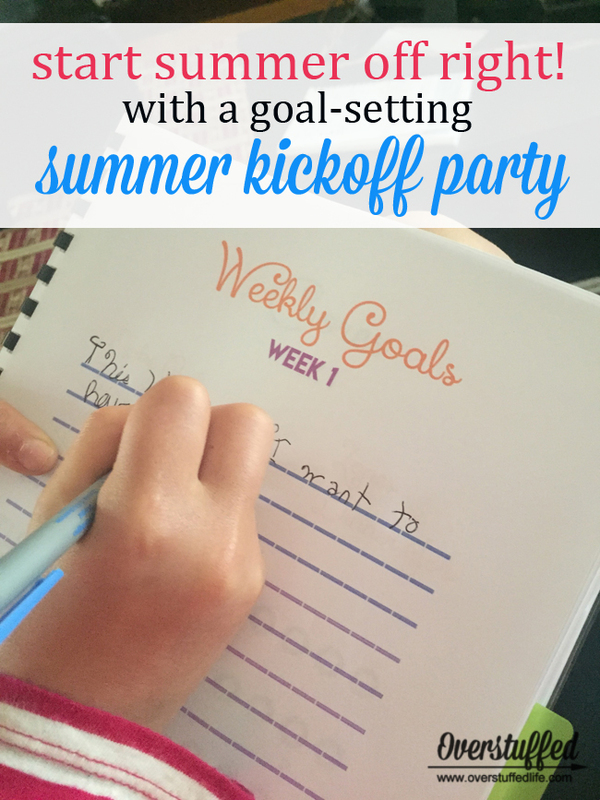 Their summer workbooks also contain goal setting sheets. They worked on setting goals for the both the month of June and for the first official week of summer. Every Sunday night we will have another small goal setting session where they can also follow-up on their goals from the previous week. 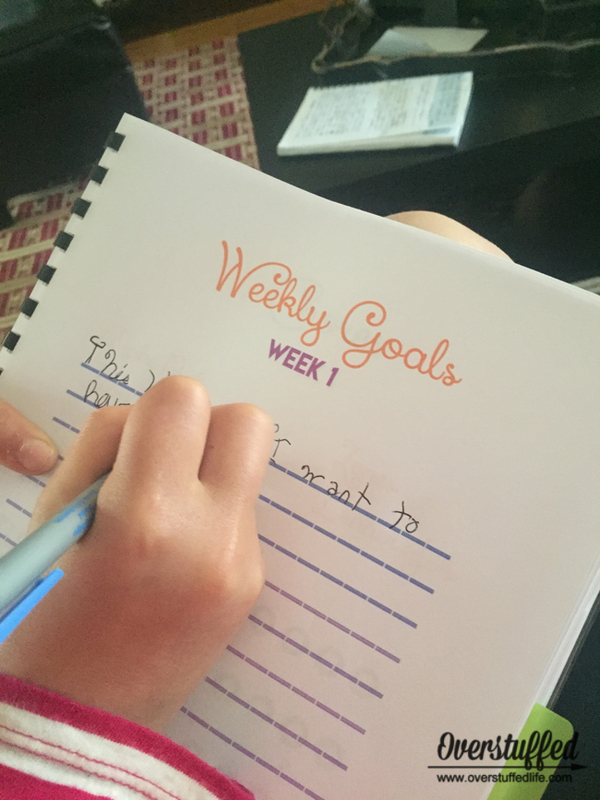 After they set their goals, we made our family bucket list for the summer. 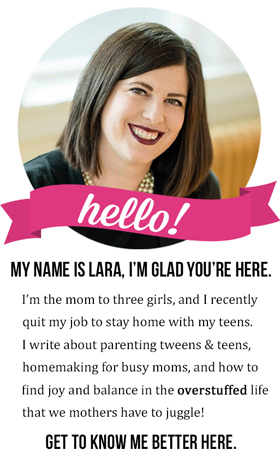 For this activity, I just have them each write down the top ten things they'd like to do and then I write it on a posterboard and hang it in the kitchen. I'd show you a photo, but I haven't managed to get it written on posterboard yet...I'll update this post when I do. 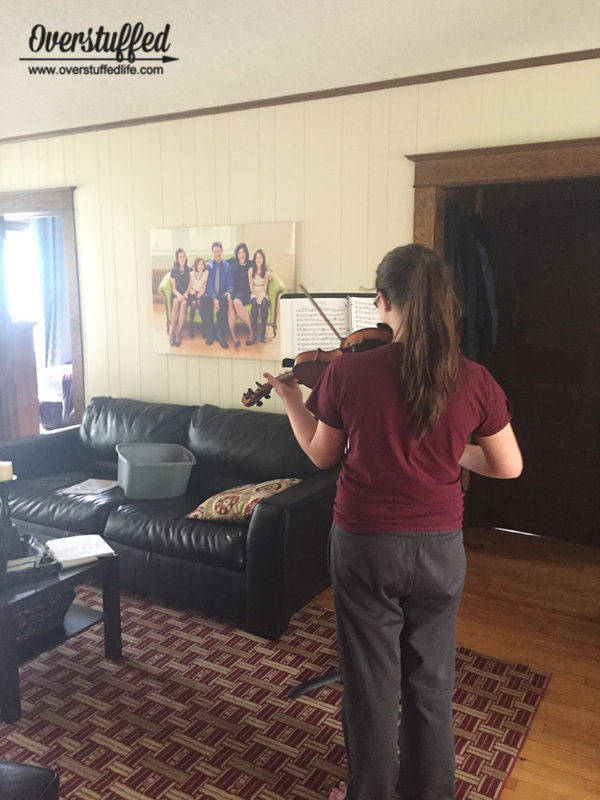 As a mom, it's always awesome to see your kids happy and productive. They have been an absolute joy for the first week of summer, and the second week is shaping up similarly. 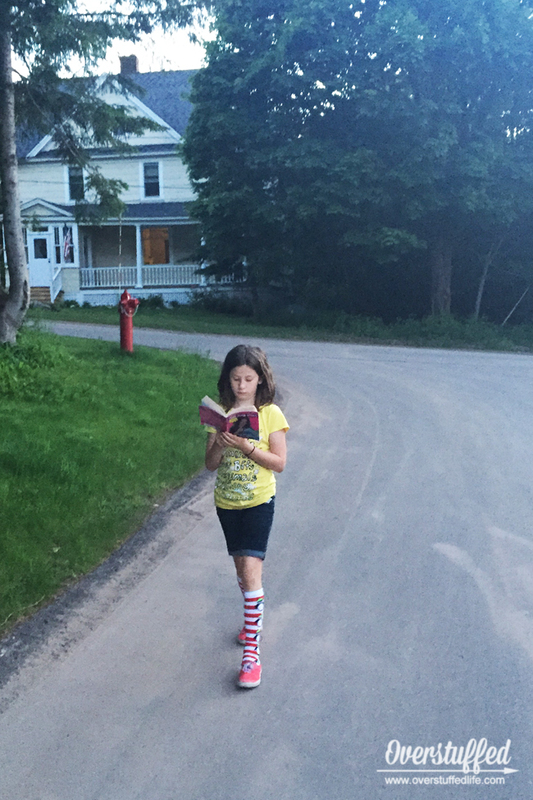 They're doing a lot of reading--sometimes even finding books in unexpected places and reading while walking home from the park. 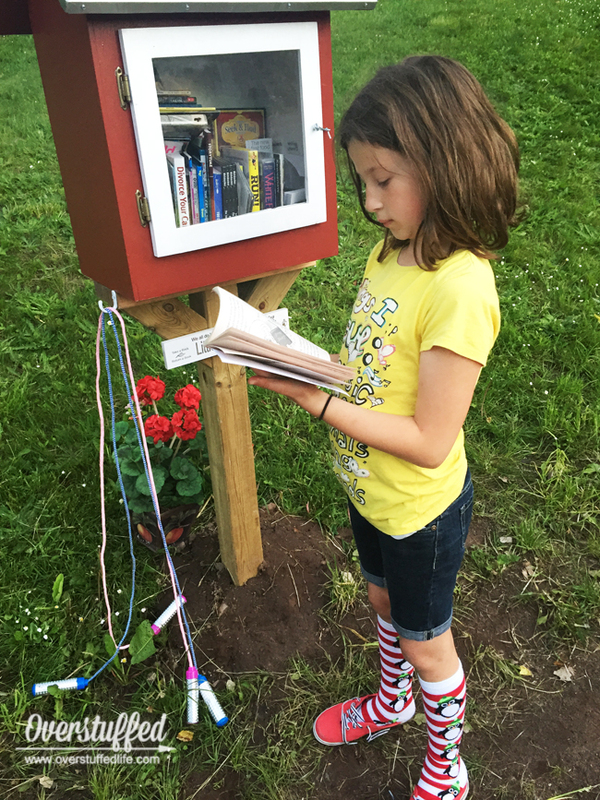 We have a lot of Little Free Libraries cropping up around town and the kids are loving them! And my favorite part is to see them exercising! 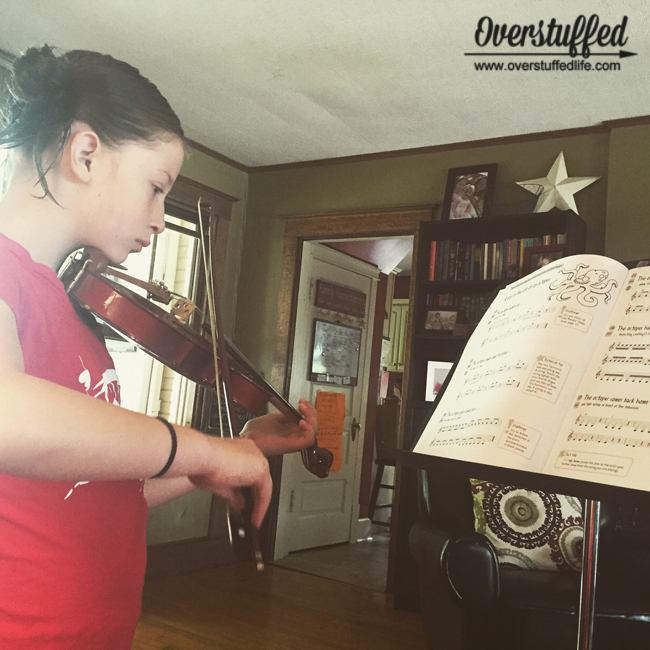 This is something The Maestro and I have been concerned about in our household. We aren't terribly good examples as parents, but we are both working on it this summer, too. 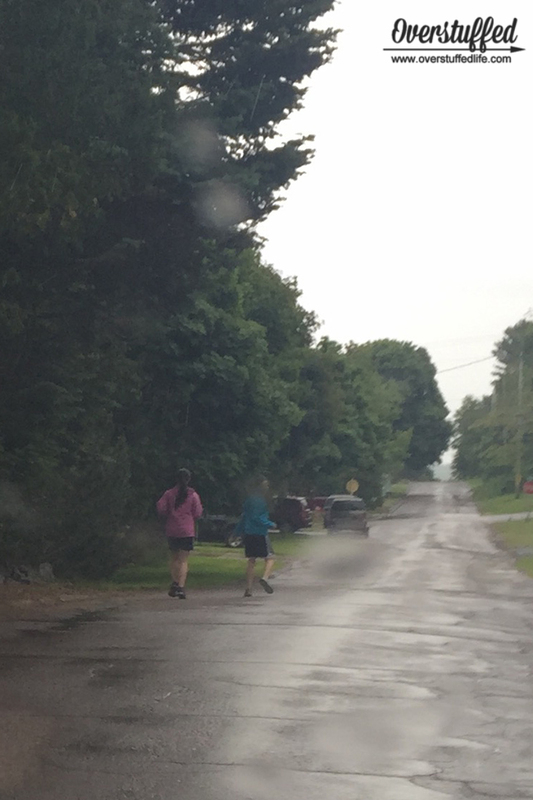 Bria and Chloe go on runs, Chloe had a basketball camp and plays soccer, Sophia loves to go ride her bike or take the dog for a walk, or they just go run around in the backyard. We're also going on more walks as a family, when the weather is cooperative. I'm hoping to see some great health benefits for them by summer's end. And that's just the first week! Hopefully the weather will warm up and we'll still be able to spend plenty of days at the beach and knock out a lot of our family summer bucket list, too. I love kicking off our summers this way, and can't wait to see my children accomplish some great goals this year!